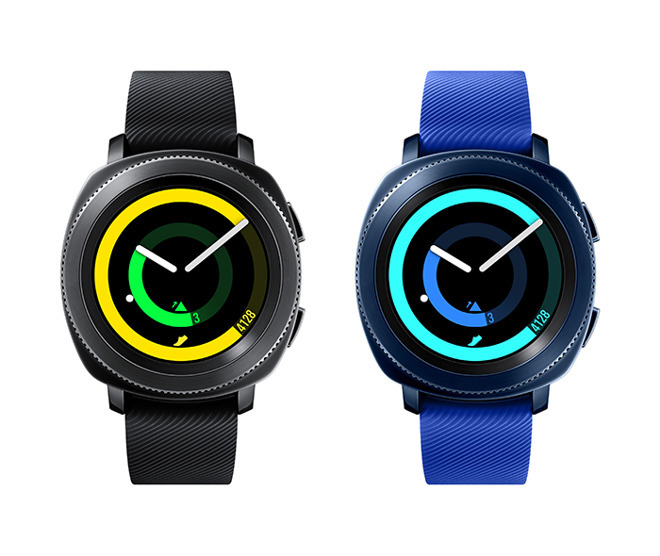 The Gear Sport is a smartwatch equipped with a round, 1.2-inch AMOLED display, as well as a 1 gigahertz dual-core processor, 4 gigabytes of storage, and a 300 milliamp-hour battery, Samsung said. It runs the company's Tizen operating system, and can pair with both iPhones and Android devices. Connection options include Bluetooth, Wi-Fi, and NFC, the last enabling Samsung Pay. For fitness purposes the device meets MIL-STD-810G durability standards, along with 5 ATM water resistance. Sensors include a barometer and heart rate monitor, while GPS, GLONASS, and even China's BeiDou are supported for navigation. 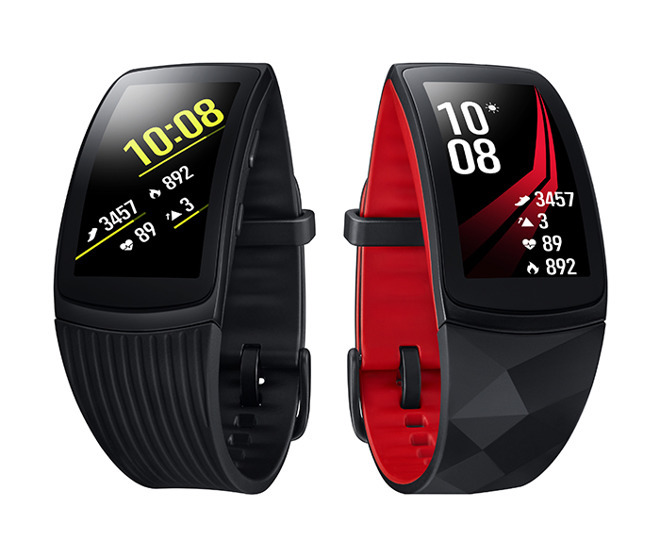 The Gear Fit2 Pro is explicitly just a fitness tracker, but features many of the same specifications as the Sport. Apart from software, the main differences are a curved 1.5-inch screen, a 200 milliamp-hour battery, and the absence of NFC. Neither of the devices run Bixby, the Samsung voice assistant found on the Galaxy S8 and Note 8. The Gear Sport should ship sometime this holiday season, but pricing is unavailable. Preorders for the Fit2 Pro start on Thursday for $199.99, with an official launch on Sept. 15. Apple is expected to reveal a third-generation Apple Watch on Sept. 12. While most features are unknown, the highlight is predicted to be LTE support, something the new Samsung devices lack. The technology is on other Samsung wearables however, such as the Gear S3.